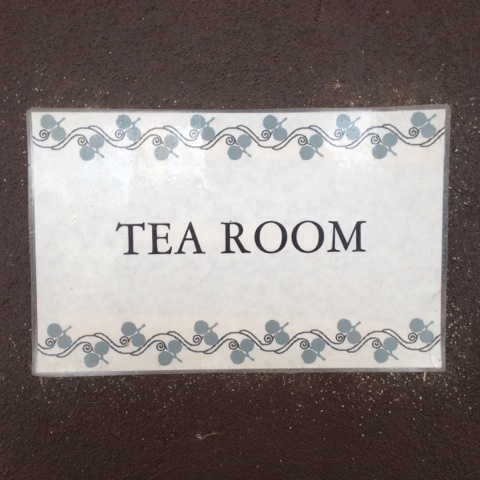 Wallaroo is an unreconstructed seaside port. Its certainly not gentrified. Some roadwork is being done but the roads around town are nothing short of atrocious: Potholes, patches, gravel, lumps and bumps. 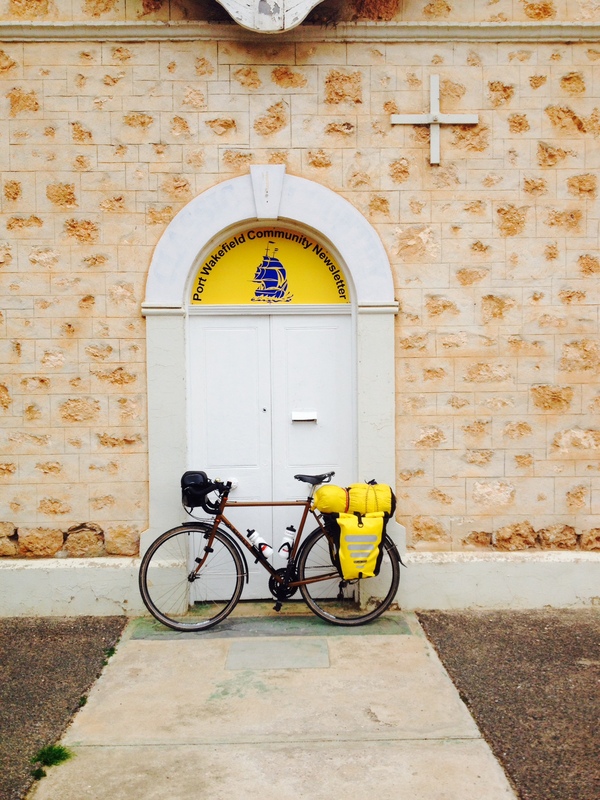 I took the Copper Coast Highway 6 kms out of town to Kadina a largish town of 4000. 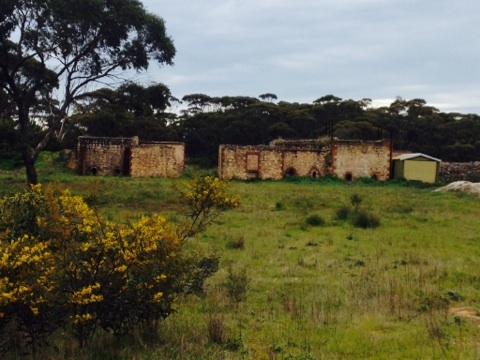 Copper was mined all along the Yorke Peninsula, the work mostly undertaken by Cornish immigrant miners. Hence the name The Copper Coast. The locals, descendants of those miners, are proud of their Cornish heritage, holding annual Cornish events and festivals. The largest of which Kernewek (Cornish) Lowender Festival. In overcast conditions with no wind the riding was pleasant, however, there was plenty of Saturday morning traffic with next to no verge. I have to keep my mind on the job. 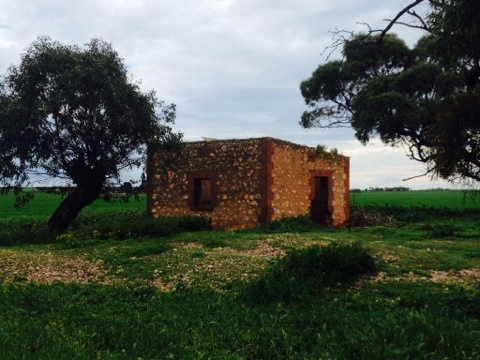 I pass through farmland under cultivation with more stone ruins, some of these buildings appear more intricate in design and construction than those I saw on the Eyre Peninsula. I rode slightly uphill for most of the morning. 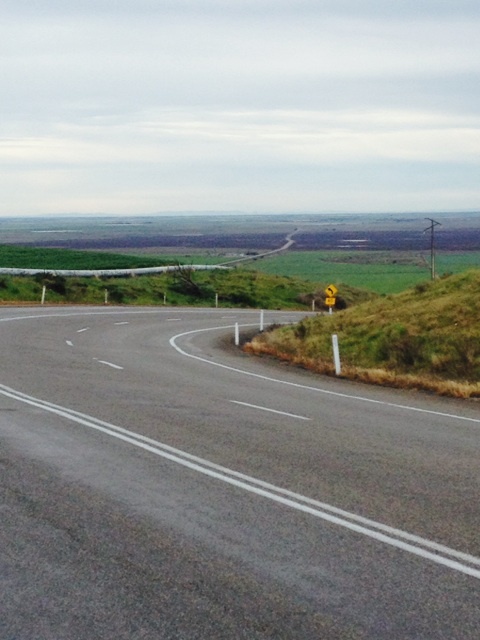 I reached the high point just out of the small hamlet of Paskeville where I was rewarded with a spectacular view of the plains below, along with a sweeping downhill run that lasts for almost 10 kms. 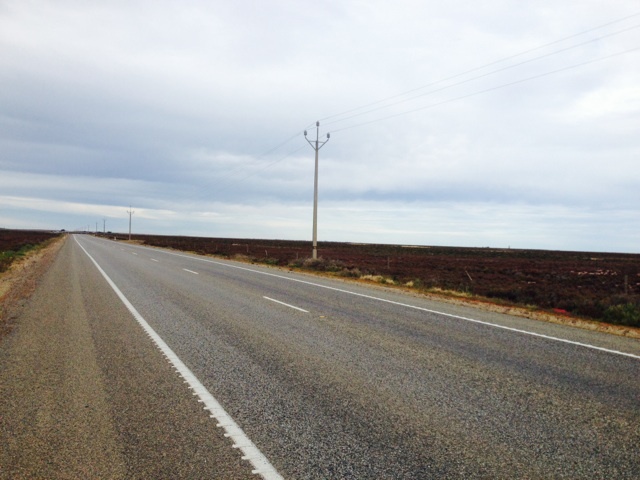 Down on the flats just out of Port Wakefield you could be forgiven for thinking that you are back out on the Nullarbor; flat, treeless swamp country. A car moves slowly along side of me, I see the cages on the back as the driver scans the sky. On the car’s back window is a bumper sticker with a heart in the middle ‘I ♥ RACING PIGEONS’, a pigeon fancier! I was only talking about my father being one yesterday. Further up the road ‘pigeon man’ is pulled off to one side, as I approach he asks “Did you find a mobile phone?” No I say. 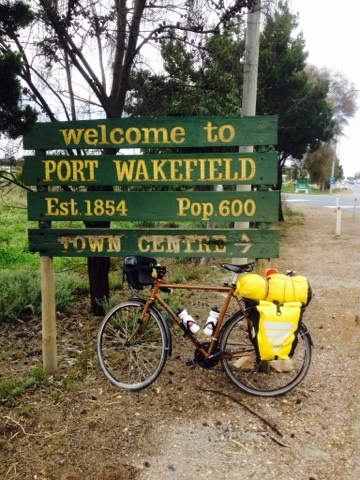 Somehow because Port Wakefield was my last stop before Adelaide. I had built it up in my minds eye as a thriving metropolis, so I was surprised when I saw that the population was just 600. 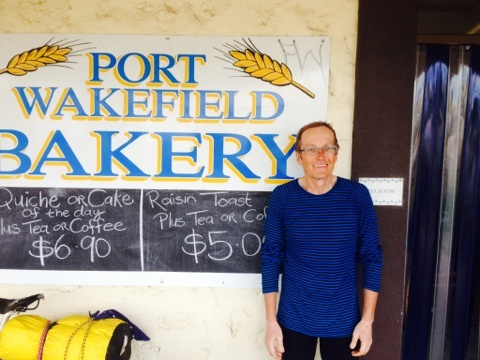 Its a small highway town with a caravan park, service station, bakery and not much more. 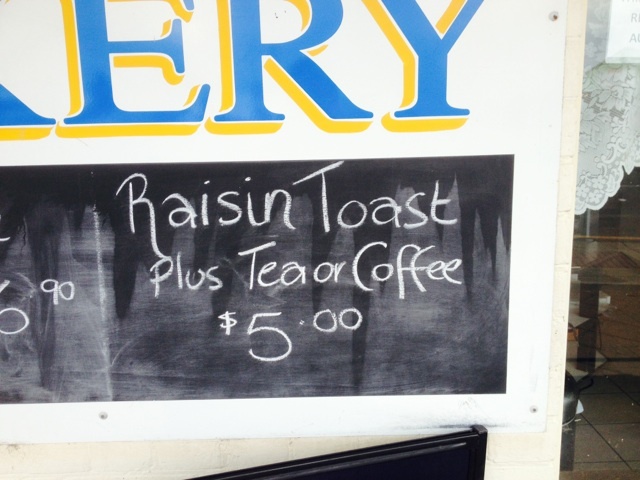 I was surprised when I saw written on a chalk board out front of the Port Wakefield Bakery ‘Raisin toast & Tea $5.00’. I actually told the shop assistant that as well as riding my bicycle I was conducting The Great Australian Raisin Toast Survey of 2014. Thus far Anchors Cafe, at Middleton Beach in Albany, Western Australia had produced the best product. He seemed pleased with that and thanked me for stopping by. The weather is closing in, showers predicted for this afternoon and worse to come tomorrow. It looks like a wet run along the highway into Adelaide tomorrow. Its not my favourite riding but I am looking forward to rolling into the city of church’s on a Sunday.